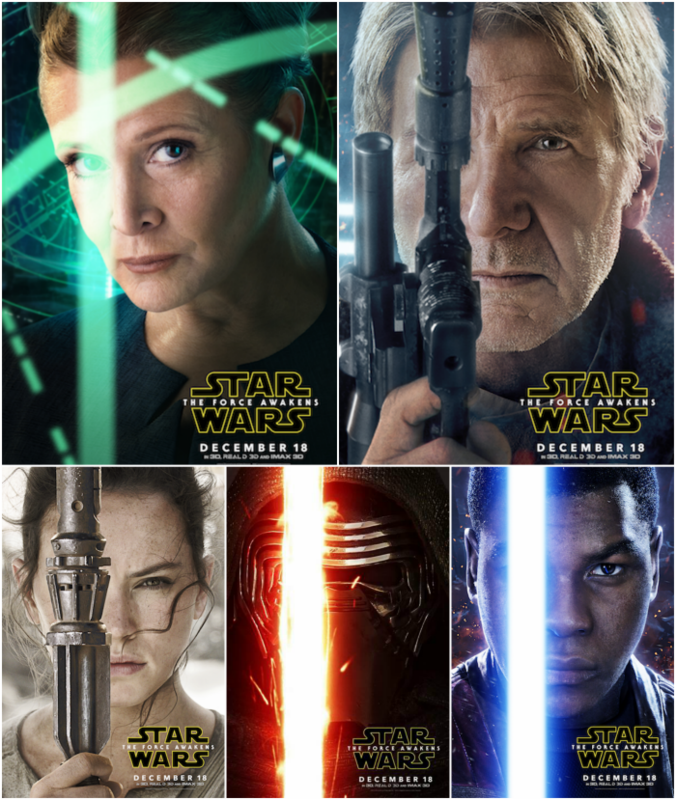 Star Wars: The Force Awakens New Character Posters! December 18th. Just a little over a month and the most anticipated film of the year will finally be released into theaters. Star Wars: The Force Awakens release is just right around the corner and I know that most Star Wars fans are dying for sneak peeks of the movie. Well your in luck because I have the newly released Star Wars: The Force Awakens Character Posters that just came out yesterday! Check them out below. I’ll be bringing you more Star Wars updates as they become available but in the meantime you can follow Star Wars on Social media to get the latest Star Wars news. Remember to mark your calendars because STAR WARS: THE FORCE AWAKENS arrives in theaters everywhere on December 18th! *Amazon Affiliate Links included in this post.